We all hate people who steal firearms, though possibly for different reasons. For some, it’s because stealing guns means the bad guy might steal their guns. For others like myself, it’s the act of theft itself that disgusts us. Something else I hate, though, is a police officer doing something illegal. A cop raised me. I grew up around cops and their families. I’ve known plenty of good cops, but the bad ones make all the good ones look bad too. As a result, I can’t stand them. So what happens when the gun thief is a police officer? The guns were reportedly taken from the home of a deceased man. My guess is he (allegedly) thought the guns would be less likely to be missed or possibly think any family would assume the deceased had sold them before his death. In fairness, probably not the dumbest assumption someone could make, but I’m also thankful that it didn’t turn out like he thought it would. Stealing from anyone is disgusting, but stealing from the dead has always felt particularly low to me. Banks is currently out on bond. 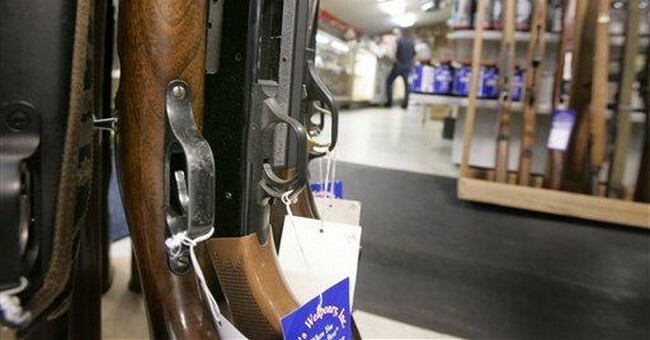 Among the guns reportedly stolen and sold were Browning Auto-5 and a Weatherby Orion. Additionally, shotguns by Beretta, Remington and a Winchester Model 23 XTR shotgun were also among his alleged haul. It appears that police uncovered the suspicious firearms transactions while investigating him for forgery. In other words, it doesn’t sound like Detective Banks was the most upstanding of police officers. While the police are notoriously Internal Affairs on television and the movies–and, based on what I saw, in real life too to some extent–no one likes it when an officer breaks the law, laws he or she swore to uphold. Yes, police are often held to a higher standard and no, it’s not always fair. However, Banks isn’t accused of some slight oversight or a slip-up. He’s accused of intentionally breaking the law for personal profit. I’m personally glad his filth won’t be polluting the pool of good, dedicated officers who would give their lives to protect their fellow man. They deserve better than to serve their communities with people like this. Of course, he’s still innocent until proven guilty, but since he’s confessed, I’m going to figure that part will be a slam dunk.